Last week there was a decisive vote on giving the go-ahead for a third runway at Heathrow. I abstained as I am still not convinced that this can be achieved without serious environmental damage, not least to air quality, and it is likely to be contested through the courts for years. I am also concerned about the impact on Gatwick which could have delivered the project quicker and cheaper and would hopefully have attracted investment to other aspects of the creaking infrastructure in the south east. The following day I caught a train at the crack of dawn down to Worthing for our 11th annual Adur and Worthing Eco Summit for the Eco, Young & Engaged Project hosted by Worthing High School. This was the biggest and best yet with no fewer than 315 pupils from 27 schools. As well as the plenary sessions there was a choice of 20 different workshops, including constructing and racing solar-powered cars, creating wildlife habitats, and recycling plastics and keeping beaches clean. 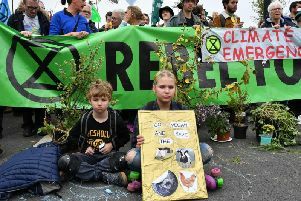 As usual I have already been contacted by parents commenting on how their children have been badgering them ever since to be more environmentally friendly so I know it works. A project at the summit was Polli:Nation which has been shortlisted for a National Lottery award if you want to vote for them at www.lotterygoodcauses.org.uk/awards. I also had a busy few days over the weekend. I started Friday with a catch-up with the principal of Worthing College to talk about possible link-ups with other colleges. Then it was a lively discussion with members of the Federation of Small Businesses where inevitably Brexit preparations, the state of the town centre and the A27 all weighed large. On to Horsham for a meeting with the Coast to Capital Local Economic Partnership, our regular meeting between MPs and West Sussex County Council cabinet members before heading back to Lancing for a packed surgery. Saturday was fun and fairs with an inspiring talk from Olympic skeleton gold medallist Amy Williams at the Shoreham College prize day; an excellent Sompting Festival under the expert management of parish councillors Ann Godley and Paul Mansfield; judging hats at the Kamelia Kids Mad Hatter’s Tea Party and then finishing up at Fishbourne Roman Palace to celebrate 50 years since Britain’s largest Roman villa was opened to the public , hearing tales of the 1960s excavation from veteran archaeologist Barry Cunliffe. On Sunday I was back in Worthing for the Drumhead service in Steyne Gardens as part of Armed Forces weekend. As usual it was a moving occasion where, despite the intense heat and lack of shade, the standard bearers performed faultlessly. Several of them told me afterwards, over a tot of 54.5 per cent proof Pusser’s rum, they had it a lot hotter in the North Africa campaign.